Kari Hamerschlag is deputy director of the food and agriculture program. Kari leads the organization’s animal agriculture work, including a climate-friendly food service initiative that aims to leverage state, municipal, K-12 and university food purchasing dollars to support local farmers and ranchers and drive market shifts and consumption towards healthier, plant-forward, sustainable food. Previously, Kari worked for five years as a senior analyst with the Environmental Working Group where she focused on the U.S. farm bill, GMOs, organic agriculture, and conservation policy. 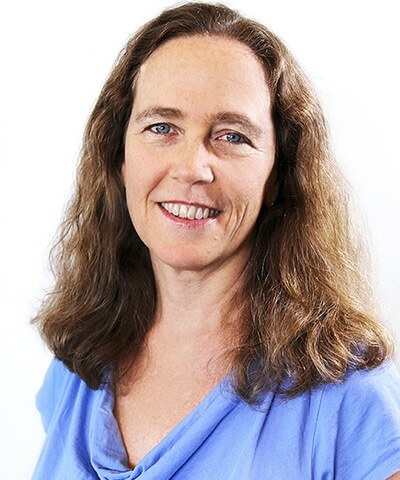 Kari has extensively researched the links between food production and climate change and authored the web-based Meateater’s Guide to Climate Change and Health. Prior to EWG, Kari worked as a sustainable food policy and fair trade consultant. Kari has a Masters from UC Berkeley in Latin American Studies and City and Regional Planning.